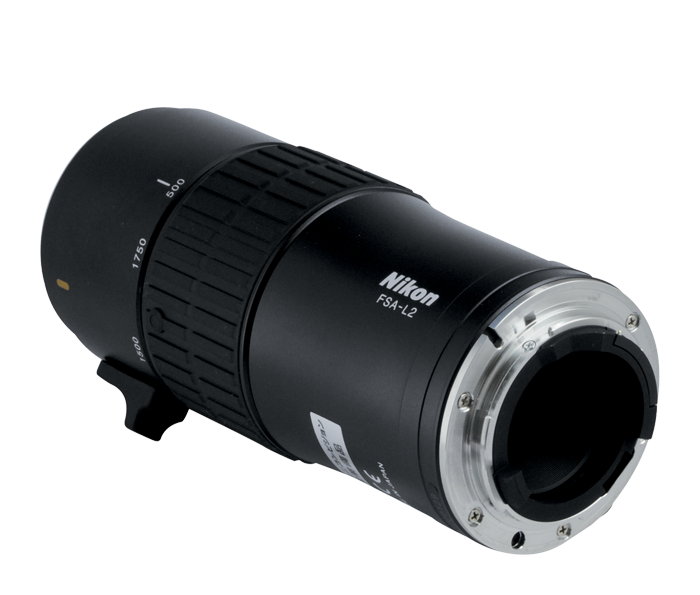 The world's first 3.5x zoom for super telephoto shooting with a focal length of up to 1,750mm. The FSA-L2 quickly and easily attaches directly to the F-mount of a Nikon digital SLR camera, for easy connection with your EDG Fieldscope. Among Fieldscope digital SLR camera attachments as of July, 2009. When attached to EDG Fieldscope 85/85-A.